UAP-Outdoor+ is end of life (EOL). Ubiquiti recommends UAP-AC-M for functional replacement. Take UniFi outdoors and with the new UAP-Outdoor+ with Multi-Lane RF technology. The UAP-Outdoor+ includes two external antennas and a secondary Ethernet port for bridging. It supports 802.11n MIMO at 2.4GHz, with speeds of up to 300 Mbps and a range of up to 183 m (600 ft). 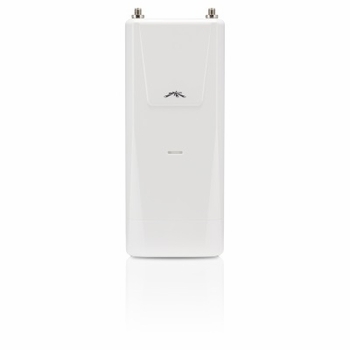 Ubiquiti's innovative Multi-Lane RF technology isolates signals on the operating channel and removes adjacent channel interference. Wireless capacity and throughput are increased in high-density areas, and multiple APs can operate in close proximity. Multi Lane RF is ideal for providing reliable WiFi in high traffic environments such as public spaces, convention centers, campuses and event venues.